Discussion in 'Music' started by antonsm, Feb 9, 2019. 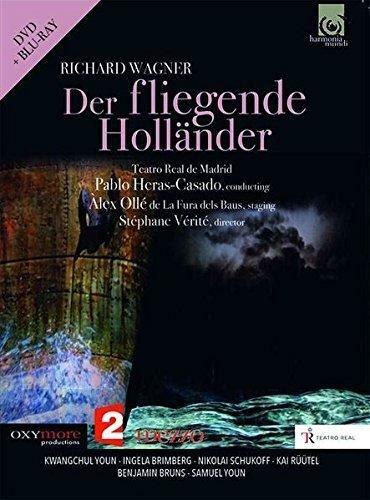 Filmed at a series of outstanding performances at the Teatro Real de Madrid in December 2016, this recording will especially delight lovers of Wagnerian music drama with its faithful reflection of the grandiose staging of Alex Olle, a member of La Fura dels Baus, whose earlier productions have attracted widespread attention. A conductor equally at home in Monteverdi, Boulez, Praetorius and Schumann, Pablo Heras-Casado can rely on a cast totally committed to this breathtaking musical hurricane! 9 ZWEITER AUFZUG: Senta: Ach, mochtest du, bleicher Seemann, sie finden? 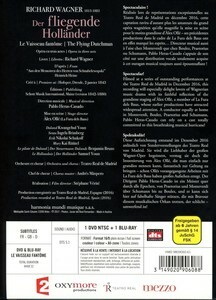 12 DRITTER AUFZUG: Zweite Szene. Erik: Was musst'ich horen! 13 DRITTER AUFZUG: Hollander: Erfahre das Geschick, vor dem ich dich bewahr'!